The brain is a remarkable thing. It can adapt and adjust to new ways of life at a surprising rate, making something as important as your gradually diminishing sight seem not so bad. When images start to go dark and blurry due to cataracts, some people may be inclined to just go with the flow, but there is another alternative that can actually help restore your sight and give you back all the benefits of clear, unclouded vision: cataract surgery. 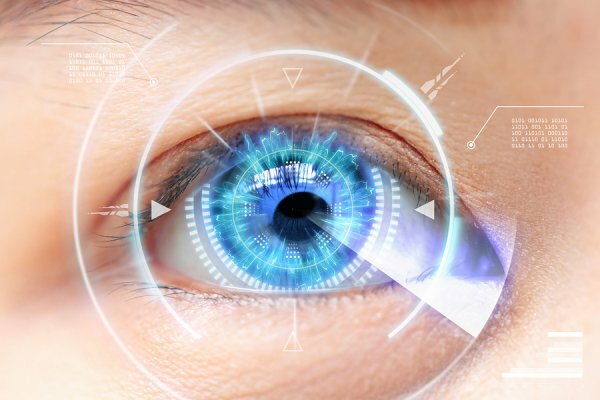 Though cataract surgery may sound a little daunting at first, there are so many reasons why you should not hesitate to undergo this minimally-invasive procedure. Cataract surgery is a quick and painless procedure that leaves most people with better vision afterwards. During the procedure, the cataract surgeon uses a small-incision, no-stitch microscopic technique to remove the cloudy lens of the eye and replace it with a clear, foldable plastic intraocular lens. The surgery only takes about 30 minutes and you will start to see results within a few days. If money is a major concern, you should speak with your cataract doctor before getting started. However, most private insurance companies, as well as Medicare, cover the cost of cataract surgery, including the fee for the cataract surgeon, the fee for using the surgical facility, the cost of a basic monofocal lens implant, and all necessary follow-up care within 3 months or so of your surgery. All surgical procedures have risks, but the inherent risks of cataract surgery are extremely low! You may experience symptoms such as mild inflammation, infection, swelling, or bleeding, but complications are uncommon and often easily treated. This low-risk factor is one of the reasons why cataract surgery has become one of the most successful and frequently-performed surgeries in the United States! Everyday tasks like driving and reading become nearly impossible when cataracts are clouding your vision. You may feel less independent or more socially withdrawn and self-conscious. But cataract surgery can help you get back to the things you enjoy most, possibly even leaving you with better eye sight than before! Vision loss is a major contributing factor to falls and fractures, especially in older patients. Blurred vision could cause you to fall down the stairs or trip over a rug, leaving you with mounting hospital bills and long recovery periods. Cataract surgery can remove this barrier from your life, allowing you to accurately judge distances and step over obstacles just like you could before the cataracts formed. With all of these amazing benefits of cataract surgery, what are you waiting for? Take your life back by calling the skilled and experienced eye doctors at Spindel Eye Associates . Your vision is worth it! CTA : Call 603-421-6489 to schedule a consultation with our cataract surgeon today!